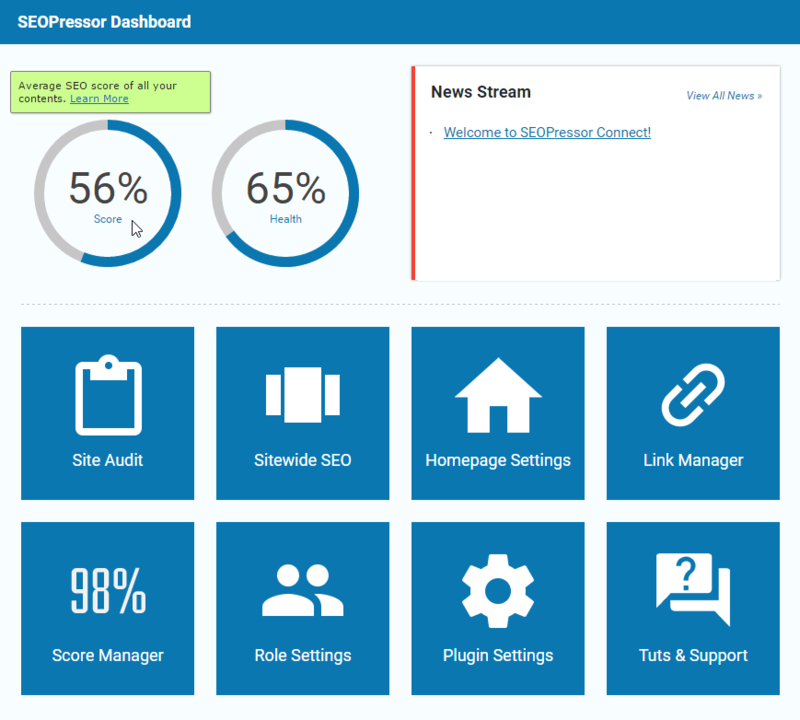 Now that you have installed SEOPressor Connect, we will introduce you to the new user interface of SEOPressor. If you’re wondering what’s the difference between SEOPressor Connect with SEOPressor Version 5, our latest version allows you to have maximum control of your on-page and we will get you connected with search engines so that you will get a higher rank. 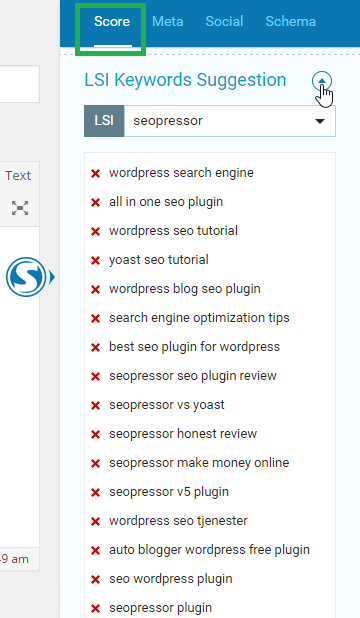 On the right side of your WordPress, you will see our SEOPressor logo, the ‘S‘ button. When you click on it, the panel will slide in. 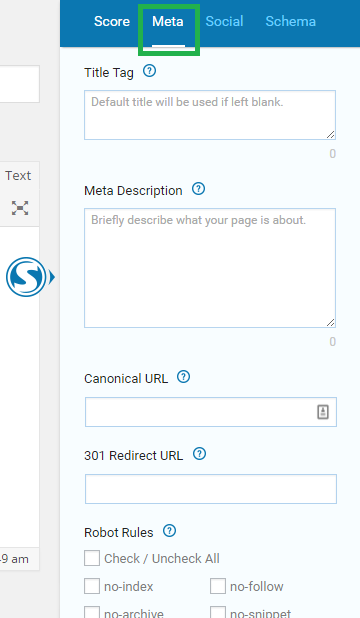 To see the panel again, you can either click ‘Expand SEOPressor‘ or the button ‘S‘. 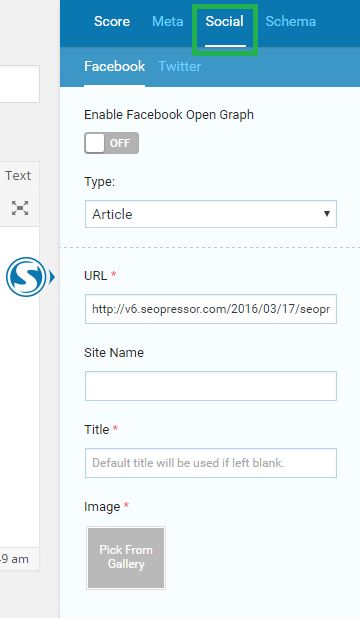 Just like the previous version (SEOPressor V5), you can enter in 3 keywords, and we will show you your score. 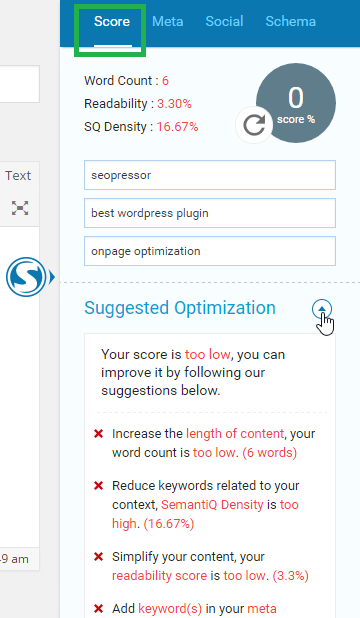 In SEOPressor Connect, we have also added ‘Word Count‘, ‘Readability Score‘, and ‘SQ Density Score‘. If you have a low score, you can click the ‘expand button‘ next to Suggested Optimization for more optimization suggestions. 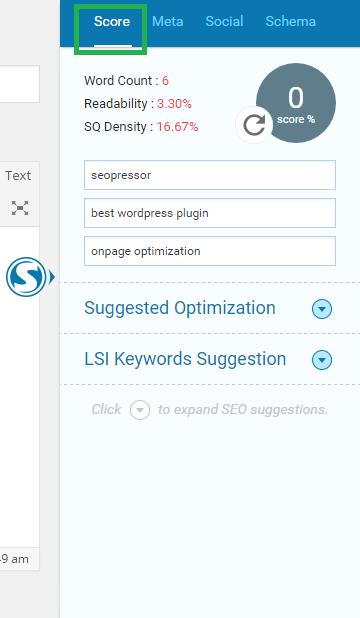 To get more suggestions for LSI Keywords, click on the ‘expand button‘ next to it. 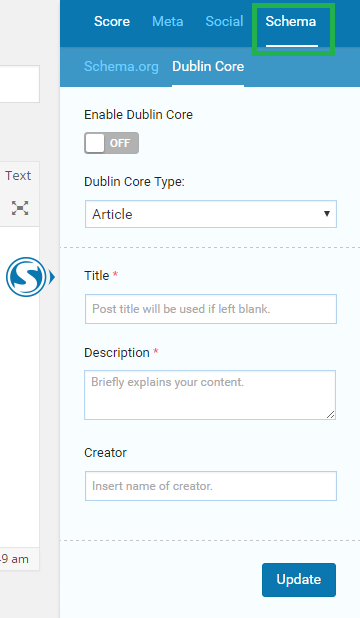 Moving on to the Meta tab, this is where you fill in the details on how you want your blog post to appear on Google. 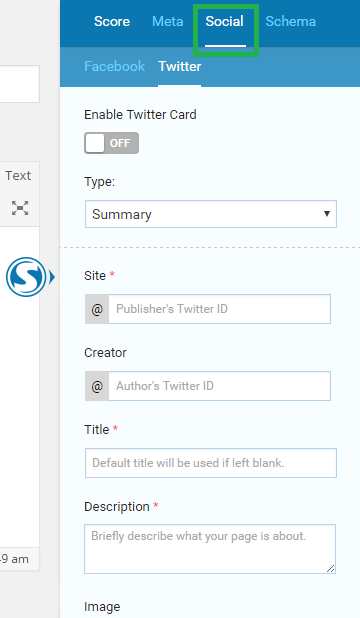 In the Social tab, you fill in your blog post details on how you want the page to be shown on Facebook and Twitter. 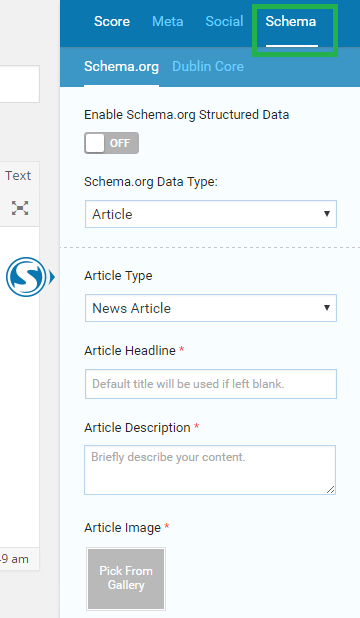 In the last tab, Schema, you fill in how you want search engines to read your website. That’s all for the content part! 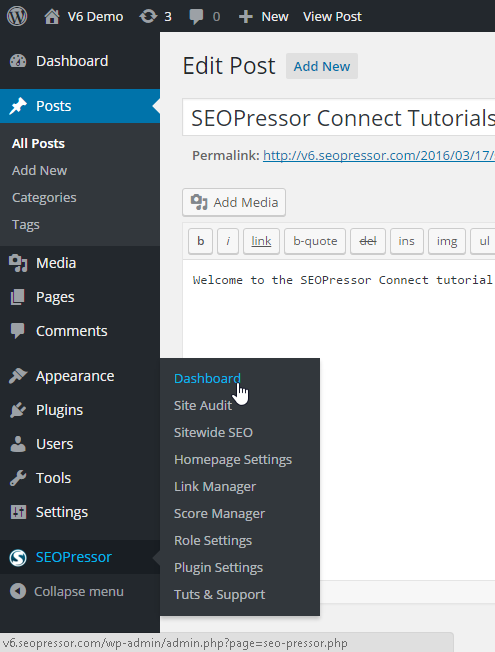 If you’d like to explore more settings from SEOPressor, go to the WordPress menu on your left, click ‘SEOPressor > Dashboard‘. You will see the Average Score & Health of your website on the SEOPressor Dashboard. On the right side, we have our News Stream board where we will make announcements if there are any updates available. So be sure to keep an eye on this board! To explore the other Settings in more detail, you can check out the next tutorials.